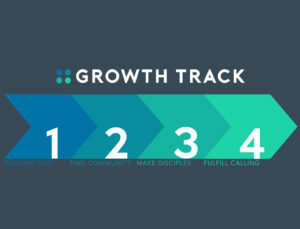 If there’s one thing you should do right now, it’s register for Growth Track. We want as many people as possible to go through this important, new four-week class. You will grow deeper in your faith and in your Christian walk. What the your purpose is in this life. What the number one priority is for every Christian. We will help you identify gifts God has given you and how you can deploy them in our church and community. It is our responsibility and desire to serve our church in the area of spiritual development. What a privilege we have to walk together as we grow closer in our understanding of and relationship with Jesus Christ and his mission. Growth Track is for anyone! Whether you’ve been a member for a long time, you are new to our church, or are simply looking for your next step as a believer. We’ll meet at 9:00 a.m. each Sunday for the four Sundays throughout October. We have children and student small groups during this hour available for your family. If you cannot make all four sessions, no problem. Come to as many as you can. We will be offering Growth Track regularly so you can make up the ones you miss at another time. Register for Growth Track by following this link. Watch a video about growth track. Reclaim is this Sunday at 5:00 p.m.
Christ Community Women, with so many differing voices telling us what it means to be a woman, it can sometimes be hard to know what’s true. Thankfully, our Heavenly Father has told us who we are. 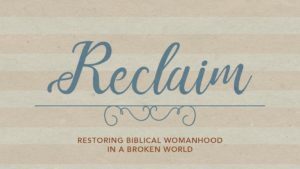 The goal of Reclaim is to help one another live out biblical womanhood in our everyday lives. The topic for this weekend’s event is rest. If you’re like most women, rest is a tricky subject. You want to rest, but struggle to make time for it. Then, when you are able to actually slow down, you feel guilty for it! At Reclaim, we’ll talk about God’s design for rest and offer practical advice for finding rest in the midst of our hectic lives. We’ll have appetizers and a time for you to connect with other women, followed by a short teaching, and then small groups discussion. Reclaim is this Sunday, September 30th at 5:00 PM. To learn more and to register, please visit the event page. Our ForCLT series will conclude this Sunday by looking at how our church is to be For Our City. We are to pray for and help see to it that our immediate community, Huntersville, Cornelius, Davidson, and the whole Lake Norman region, as well as the city of Charlotte, flourishes on this earth. If you’ve missed any of our sermons in this series, you can go to our sermon page to watchthem or find us on iTunes to listen. As we head toward our Sunday gathering, let’s remember to pray for our church family. We all have struggles in this life. Struggles in marriage, family, job, community, and a personal struggle with sin. We know Jesus has won the victory and we must rest in that truth. Still, life is difficult and we need the prayers of others. So stop for a moment and pray for our church family that is spread across the city today. I look forward to seeing you again on Sunday.